This campaign does not offer cash compensation, you will receive a free product sample worth approximately $50 for promoting this brand. and a personal discount code for your readers. As you promote campaigns and drive referrals, your Influence Score and pay rate will increase. Create a post about FREY on your blog and promote this exclusive deal. Create a YouTube video about FREY and promote this exclusive deal. Create an Instagram post about FREY and promote this exclusive deal. Promote your blog post or YouTube video or Instagram post, or promote FREY on two of your social channels. 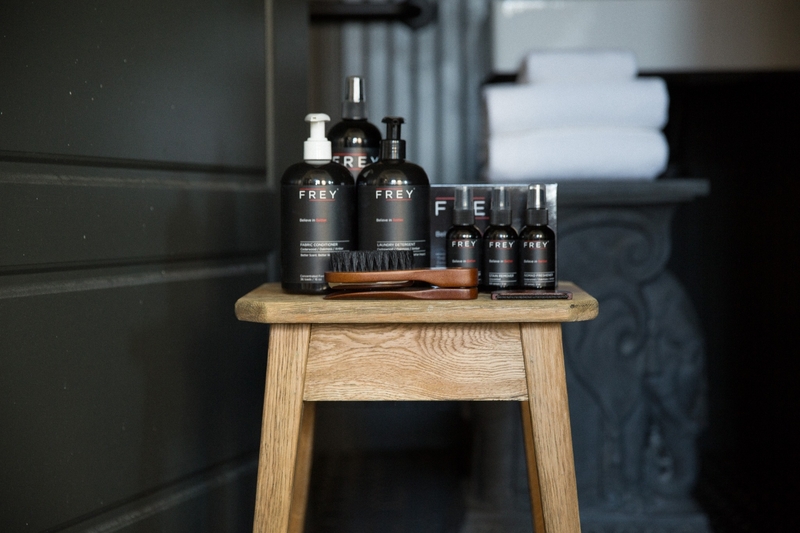 FREY is a line of exceptional clothing care products meticulously designed to smell better, treat your clothing better, and generally be better: for you, for others, for the planet. We are certified B-corp and cruelty free. Not to mention, for every product purchased, FREY plants a tree! Instagram: Simply follow the Do's and Don't on the page. Get creative and have fun with the product images! Post requirements: Roundups allowed - Your blog post or YouTube video may mention or review FREY alongside other brands (e.g. how-to, roundup, review of multiple products).